Both Australia and South Korea aim to be one of Asia’s four representatives at the 2020 Tokyo Olympics next year, but they must first overcome each other – and a pitch of questionable quality in Phnom Penh – if they hope to get anywhere close to achieving that goal. The AFC U23 Qualifiers are set to begin today, with a total of 44 teams set to be narrowed down to just 16 for the final tournament in Thailand in January 2020. From there, the four best teams will take their place as Asia’s representatives at the 2020 Summer Olympic Games in Tokyo, which serves as the grand prize being eyed up by all of the continent’s major nations. Despite a seeding system designed to keep the heavyweights away from each other at the preliminary stage, Australia’s descent into Pot 2 has seen them drawn alongside South Korea in one of the 11 groups of four. Hosted by Cambodia, they will be competing against each other for one automatic spot, with the runners-up needing to rely on a third-place ranking to book their ticket to Bangkok. With Chinese Taipei the fourth nation in the group, both sides will fancy their chances of squeezing through and continuing their journey to the Olympic Games. 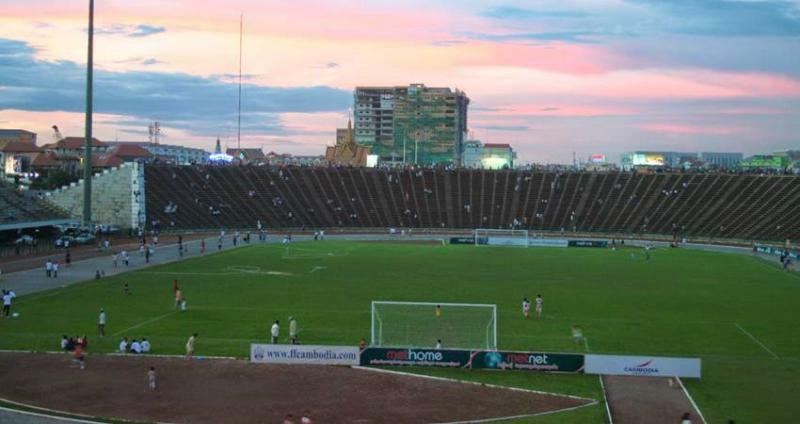 However, an unexpected obstacle in their way may be the quality of the artificial pitch at the Phnom Penh Olympic Stadium, which will host all six of the group’s matches. The pitch came to prominence during the recent AFF U22 Championships, where a number of observers pointed out its low quality. Both Australia and South Korea will be hoping that this unfortunate circumstance doesn’t hinder their ability to make it all the way to Tokyo in the summer of 2020.